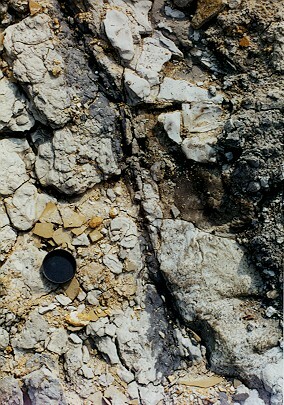 Closeup of underlying clay and breccia. 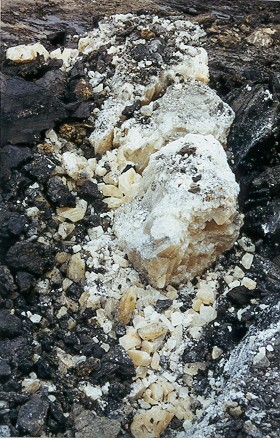 Coarse-grained calcite block. 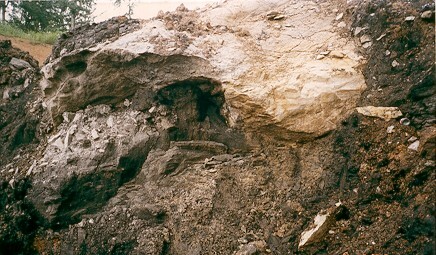 south slope of the Fulkerson cut. Photo Dr. Robert Hatcher. edge of the Route 75 cut. 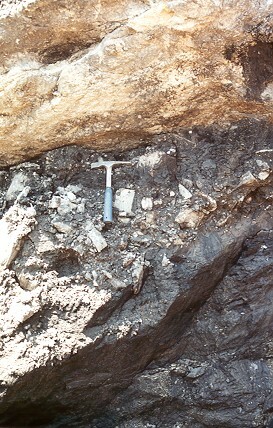 Markings (right) outline a synclinal fold, plunging to the east. approximately 1/3 natural size. 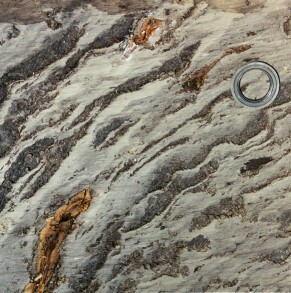 Lower left; wood. 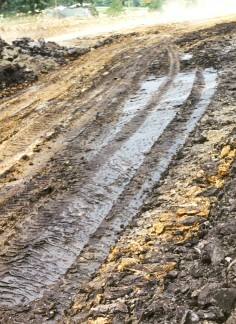 Right: Closeup of planed surface, near natural size. 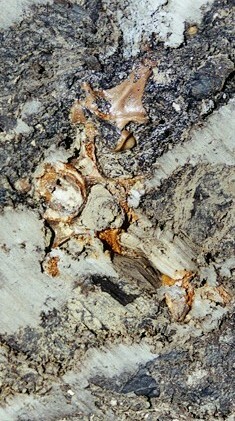 Upper bone is probable crocodilian. 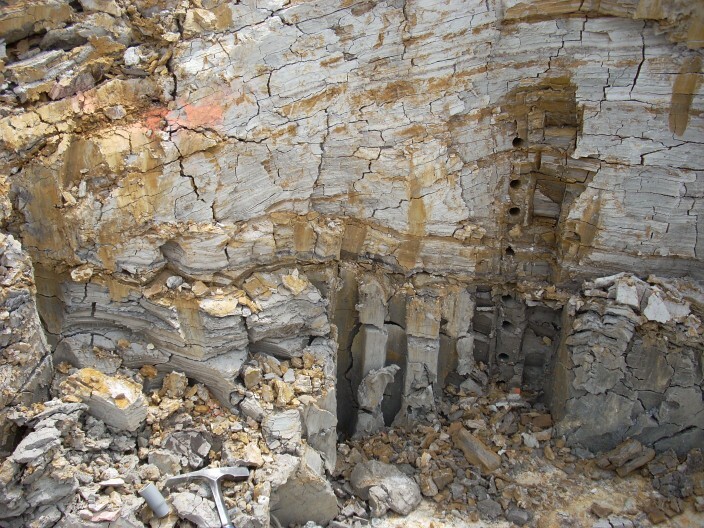 In June 2010, excavations for an annex on the south side of the museum encountered apparent low-angle thrust fault relationships in gray massive and layered clays. 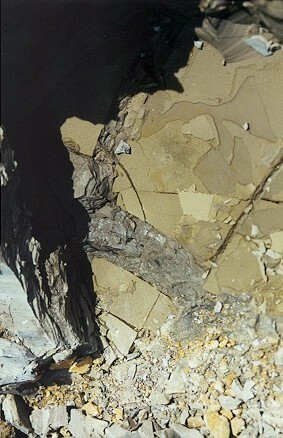 Closer view of exposure, hammer for scale. Note downward-truncated layers, suggestive of displacements on the order of meters. 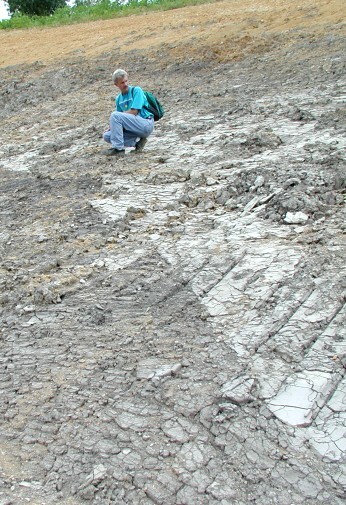 Immediately to the west, sediment layers exposed in a horizontal surface were seen to be bent into an anticline.